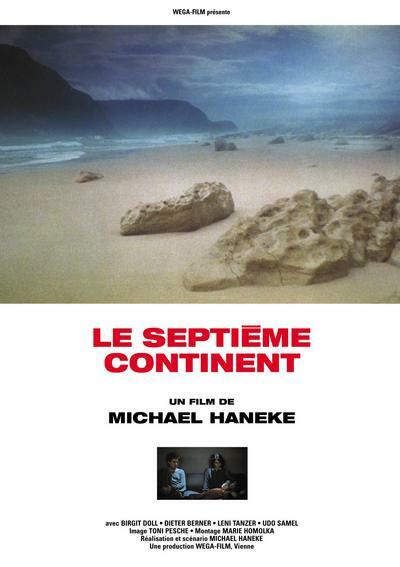 Michael Haneke’s masterful first film The Seventh Continent/Der Siebente Kontinent introduced concerns basic to the director’s art, principal among them the notion that the “death of affect”, a key fixation of postmodernity, should not be a subject of cynical concelebration (as it seems to be for many artists of the moment). Rather, Haneke views the end of affect, which is to say the acceptance of alienation as an inevitable and rather “hip” state of being, as a profound sickness that serious art no longer interrogates, the standard postmodern view being that its study is a naïve and dated preoccupation. As a consequence, Haneke is often associated with cinema’s great modernists, with Antonioni frequently cited as the kinsman of closest sensibility. The association seems reasonable, with the provision that Haneke “updates” Antonioni’s project, applying to the current world a vision appropriate to late capitalist, media-saturated culture, and that evokes early modernism, with its concern for some sense of continuity between classicism and modernity. 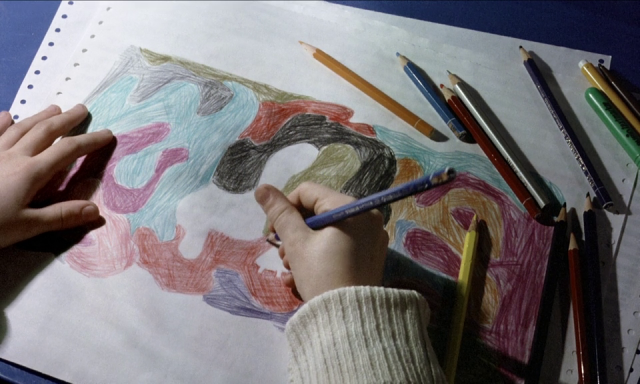 From Antonioni, Haneke derives elements of his vision of the modern urban setting. 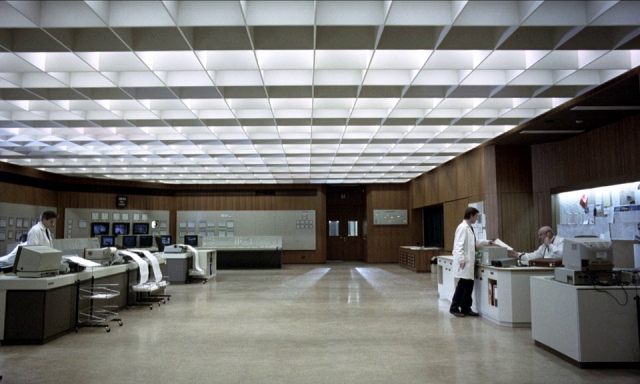 People spend endless, wordless, wasted moments in car washes and supermarkets, and work in buildings composed of machine-packed substructures recalling Metropolis (Fritz Lang, 1926) as well as Red Desert (Michelangelo Antonioni, 1964), while vast, low-ceilinged office spaces of endless, uniformly spaced desks, suggest Welles’ vision of The Trial (1961) as much as L’eclisse (Michelangelo Antonioni, 1963). The Seventh Continent seems postmodern in one element of its narrative, viz., its “ripped from today’s headlines” story of a family that opts for collective suicide rather than continue to “live” within the constricting, anti-humane monstrousness of everyday bourgeois society. The film is derived from a newspaper story concerning a family whose collective death struck survivors as so implausible that they demanded a police investigation, which to this day remains open. The investigation seemed very unwarranted, since the father of the family authenticated the suicide pact in a detailed note explaining the planned deaths and rejection of the current world. No forensic evidence indicated foul play. Haneke makes the story eminently plausible by focusing on the stultifying aspects of everyday life taken for granted by the current bourgeois order of things. The rote actions of the day – from turning off an alarm clock to tying shoelaces to eating a bowl of cereal – are invested with a chilling aspect recalling Warhol’s presentation of the consumer landscape. 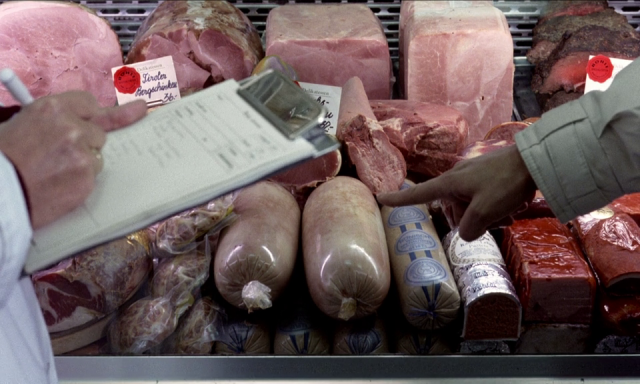 In his compositions Haneke employs a kind of television aesthetic, that is, an insistence on the tight shot, usually to emphasise the plasticity of commodities, although without television’s insistence on rapid cutting. 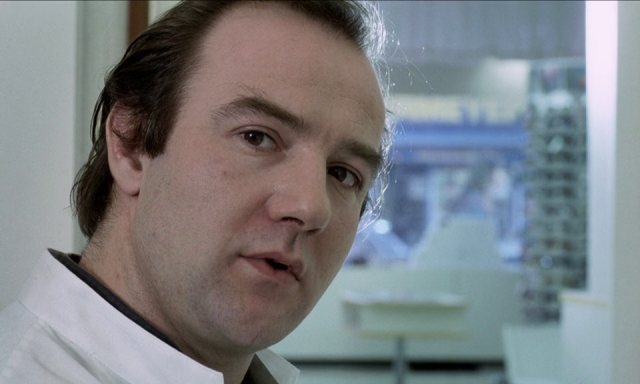 To the contrary, with this first film Haneke introduces his belief that the spectator must today become reacquainted with older ways of seeing (1). The stasis of The Seventh Continent and his subsequent films emphasise this notion; the media landscape, dominated by the ambitions of advertising, is pure montage, concealing the fact that such phenomena as the “action” film of corporate cinema deprives us of a view of real experience in the hyperactivity of its alienated “speech”. Contrary to the opinion of some critics on this film, The Seventh Continent is no Fight Club (David Fincher, 1999). It has nothing to do with excess or the immersion of the male ego in the luxury of false needs as a compensation for impotence, sexual or otherwise. Nothing about the family of The Seventh Continent indicates excess or indulgence; on the contrary, their lives are comfortable but not unrestrained. 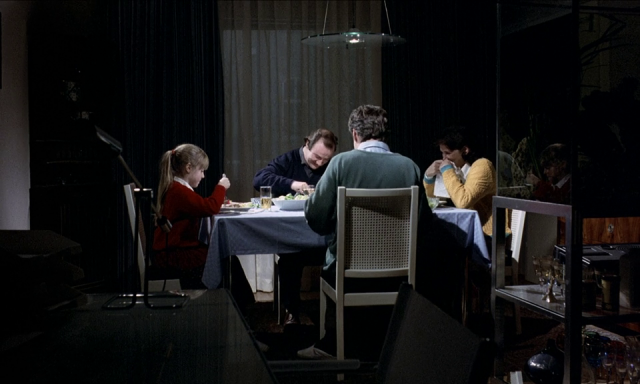 The somewhat spartan nature of their world is reinforced by Haneke’s long takes, his unrelenting close shots of the family’s breakfast table, their hands at work, and above all of their faces (which are always on the brink of spilling out emotions alien to the tortured machismo of films like Fight Club). The understanding of emotion is indeed what gives The Seventh Continent its most unique aspect, precisely due to the film’s confrontation with notions of affect. 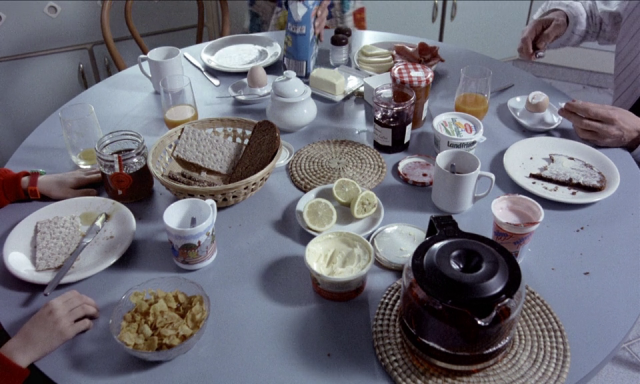 George (Dieter Berner) and Anna (Birgit Doll) are no longer able to connect with each other, nor, most tragically, with their young daughter Eva (Leni Tanzer). Affection is expressed, particularly in the film’s apocalyptic final half hour, but there is the sense that affection is residual, the remains of an eroded consciousness destroyed by the vagaries of postmodern existence. 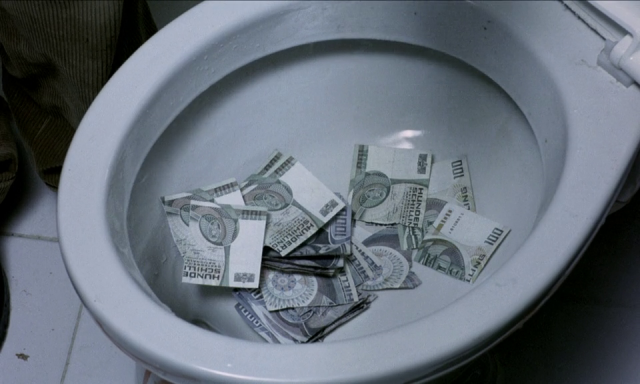 At an especially harrowing moment as the family obliterate all of their possessions – smashing furniture, destroying phonograph records, tearing up clothes one item at a time, flushing currency down the toilet (a wonderful moment) – the father smashes their fish tank, causing Eva to scream. As the fish expire on the apartment floor, Anna consoles Eva, the moment emphasising that the authentic sensibility can find consolation only in death. In a moment evoking Red Desert, Eva feigns blindness to her schoolteacher. When Anna interrogates Eva about her fakery, promising not to punish her daughter if she tells the truth, she cannot help but slap Eva when she confesses. Anna, whose emotional life is at the limit, cannot understand this most basic outcry of a child, replicated in a later scene when Eva scratches herself as she sits at her grammar school desk, her teacher insisting that she stop since “it’s all in [her] mind” (precisely). Yet Anna is perhaps the most sympathetic character after Eva. Her fragility is evident in one of the car wash scenes, when she begins suddenly to break down, her husband only just able to console her. George and Anna are the archetypal bourgeois couple; while their choice of death is mutual (or so says the note George writes to his parents), Anna is essentially a spectator to events, assisting in the destruction of their apartment in the monstrous final sequence once George has initiated the action. Although Haneke has remarked that he has no interest in creating bogus competition between classical culture and the pop culture of the postwar world, The Seventh Continent introduces this sort of dialectic, with its sense that classical culture, especially music, has some marginal salvific function, occasionally supplemented by the more humanist features of the culture industry. During what may be called the prelude to the family suicide, George sells the family car as young Eva watches. The car lot in which the transaction occurs might be more properly called a junk yard, suggesting the decay of bourgeois life, iconographically. As Eva spots a boat leaving the nearby harbor, Alban Berg’s doleful string composition, “To the Memory of an Angel”, appears, unobtrusively, on the soundtrack. Written in memory of Alma Mahler, the piece, both extraordinarily poignant and consciously disjointed, is a modernist variation of a fragment of a Bach chorale that recurs in the film, described by Haneke as the film’s refrain (2). The Berg piece briefly accompanies Eva’s observation of the boat. Like a recurring image of an ad for Australian tourism that becomes the film’s emblem, the Berg/passing boat moment suggests the impossibility of utopia, or of the construction of an alternative society under the current order of things. The Berg piece is, in a sense, counterposed to music videos playing on the TV as the family sits amid the rubble of their smashed apartment, just before the deaths of the two parents and their child. A rather plangent and moving rendering of the song “The Power of Love”, captures the poignancy of this exceptionally bleak moment, but ultimately underscores the essential point: love doesn’t conquer all, and is of little utility, especially as rendered by the world of pop, to the suffocating world of western bourgeois capitalist civilisation. It is noteworthy that the death scene is accompanied by only a small touch of the Bach refrain; one gets the sense, with an understanding of Haneke’s sensibility (especially as developed in his masterpiece La Pianiste, 2001), that the classics, while an infinitely greater consolation than pop, are largely irrelevant to the current human society that has so thoroughly marginalised them. The Seventh Continent is the work of a developing artist (keeping in mind, of course, Haneke’s years in theatre and television), but the film dates extraordinarily well. 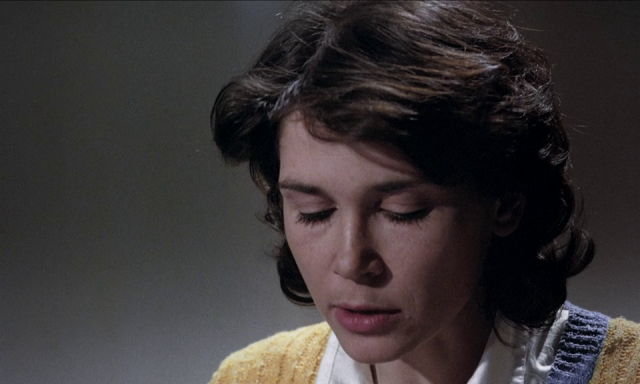 Its major themes find more focused exposition in the extraordinary La Pianiste, a work adapted from another source but unmistakably Haneke’s in its major concerns. Like the devastating news account from which the film is drawn, The Seventh Continent is a horrendous announcement of the demise of a civilisation.